Sometimes it takes a sequel to fully develop and establish a great concept. The original Street Fighter - released by Capcom in 1987 in arcades and on myriad home platforms - included eventually iconic series elements such as the six-button control layout, familiar special movies, and leads Ryu and Ken. However, the simplistic one-on-one fighter barely made a blip among players at the time. When the series returned in 1991 with Street Fighter II, with its larger cast of playable characters, tighter matches, and improved visuals, it started a something of a craze that made the fighting genre one of the most popular in all of gaming. In the two-plus decades since, Street Fighter has gone on to spawn a number of sequels, variations and crossovers with other properties, not to mention an incredible array of imitators and worthwhile competitors - and the App Store offers many of the top genre entries. Luckily, you don't have to look very far to find the game that kick-started the fighting phenomenon in all its arcade glory. Street Fighter II Collection (£2.49, iPhone) is the ideal starting point for the franchise, since the app includes three different versions of the title, each with slight variations in look, feel, and even roster. Street Fighter II: The World Warrior is the original 1991 release, while the Champion Edition makes the boss characters playable and allows multiple players to choose the same fighter, while the Hyper Fighting version amplifies the gameplay speed and adds new moves and fighter colour palettes. Aside from the inherent differences between them, all three titles control similarly, using a virtual stick and buttons with customisable placement and transparency, and all include local Bluetooth multiplayer battles. For those who expect to relive their quarter-munching memories with regularity, or plan on taking part in two-player showdowns, the Collection app fits the bill. More casual fighting fans, on the other hand, might do well with Capcom Arcade (Free, iPhone) instead. Capcom Arcade includes the same three versions of Street Fighter II - along with excellent gem-matching spin-off Super Puzzle Fighter II, Final Fight, and seven other oldies - which can be purchased individually within or played by buying tokens using real money. However, the Capcom Arcade entries lack multiplayer support, making them strictly for solo players. If you plan on playing often, grab the Collection instead. 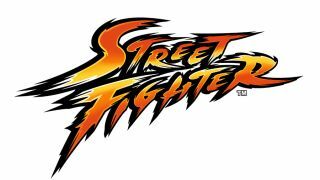 While the basics of the Street Fighter II experience continue to inform each and every new entry, the series has evolved significantly since. Case in point: Street Fighter IV Volt (£2.99, iPhone) is the latest iOS take on the core series, and it wholly replaces the previous Street Fighter IV release for iPhone by including improved 3D character models, a much larger roster (22 fighters in total), and even online play. It's easily the largest and most robust series entry on the App Store, plus you can set it so that online players can jump in when you're playing solo, much like at an arcade. Street Fighter X Tekken Mobile (69p, Universal) is the newest twist on the formula, pairing familiar franchise characters with those from the rival Tekken series for a tag-team affair. It's short on characters compared to Volt, but plays similarly - aside from the tagging mechanic; plus it works natively on iPad and still includes online play. And if you're up for something different, or merely want a taste of how the crossover plays before buying, snag Street Fighter X Tekken Gauntlet (Free, Universal). It strips down the overall experience and tasks you with surviving against an endless succession of opponents. But Street Fighter experimented with collaborative crossovers before its dalliance with Tekken. Marvel vs. Capcom 2 (£2.99, Universal) pairs Street Fighter greats with other Capcom game favourites in three-person tag-team battles against Marvel Comics heroes and villains alike. The iOS port is sadly a bit dodgy, with controls that can't keep up with the intense speed and clunky menus, but with dozens of fighters and chaotic combat like nothing else on the market, fans of either the superheroes or the game characters will find the game difficult to resist.